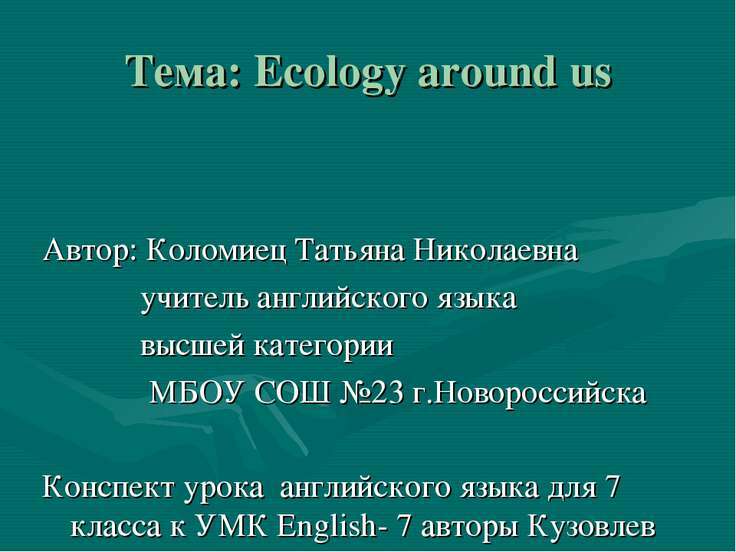 Тема: Ecology around us Автор: Коломиец Татьяна Николаевна учитель английского языка высшей категории МБОУ СОШ №23 г.Новороссийска Конспект урока английского языка для 7 класса к УМК English- 7 авторы Кузовлев В.П. и др. 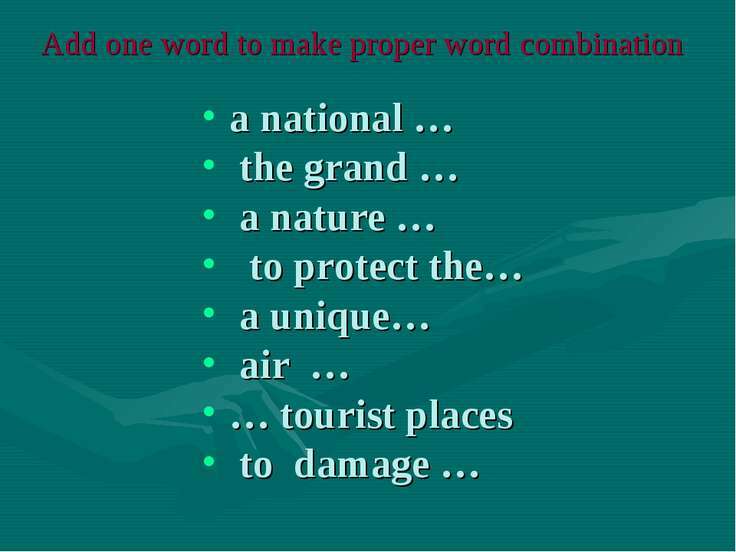 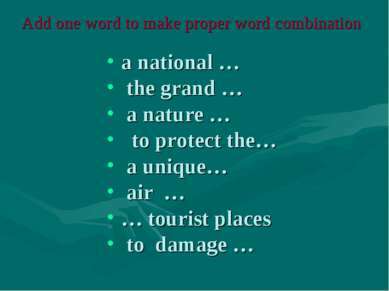 Match the words on the left with the definitions on the right. 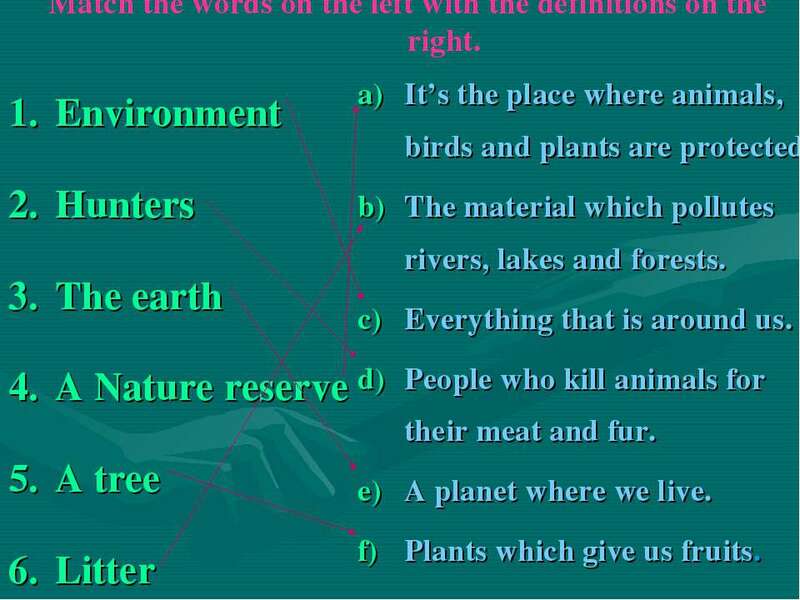 Environment Hunters The earth A Nature reserve A tree Litter It’s the place where animals, birds and plants are protected. The material which pollutes rivers, lakes and forests. 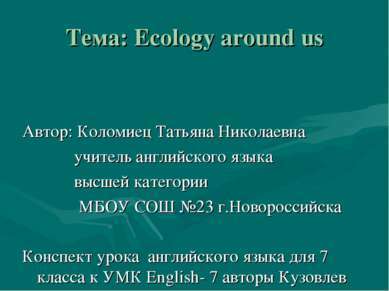 Everything that is around us. People who kill animals for their meat and fur. A planet where we live. 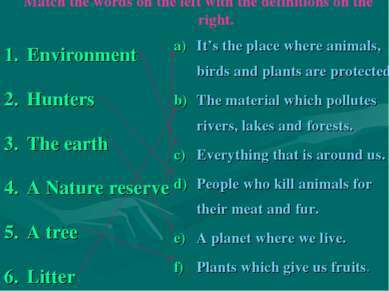 Plants which give us fruits. 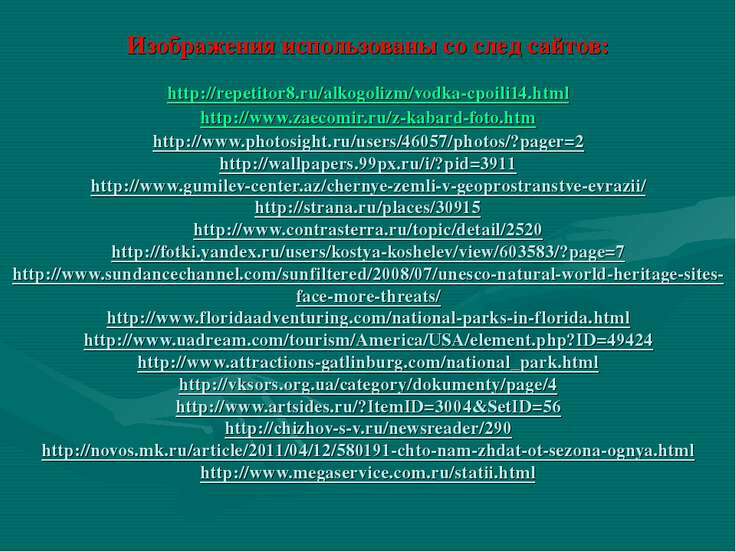 Do you know about national parks in Russia? 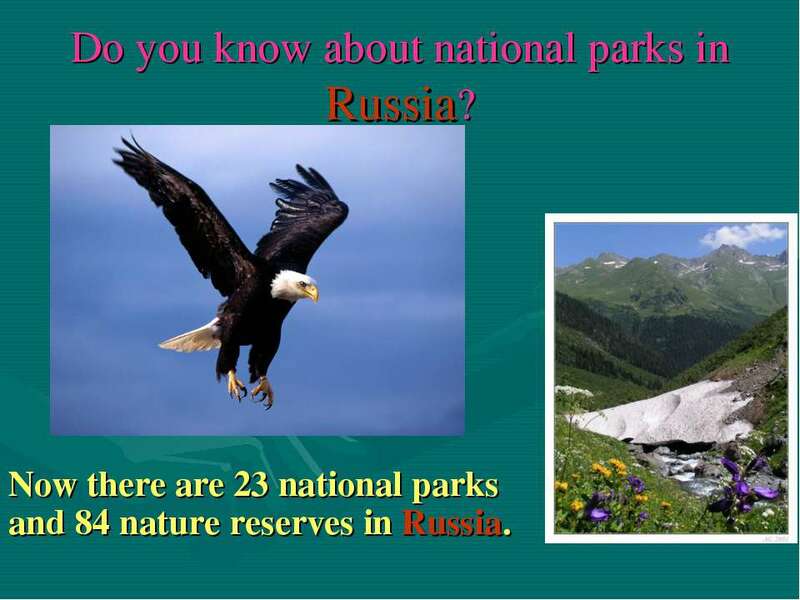 Now there are 23 national parks and 84 nature reserves in Russia. 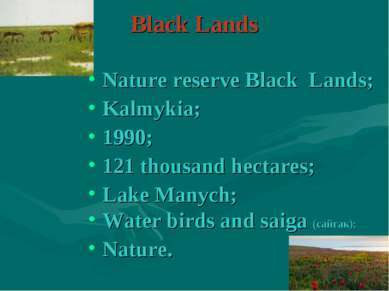 Black Lands Nature reserve Black Lands; Kalmykia; 1990; 121 thousand hectares; Lake Manych; Water birds and saiga (сайгак); Nature. Prielbrusie National park Prielbrusie; Kabardino-Balkaria; 1986; 100 thousand hectares; Elbrus; Different animals; Nature and mountains. 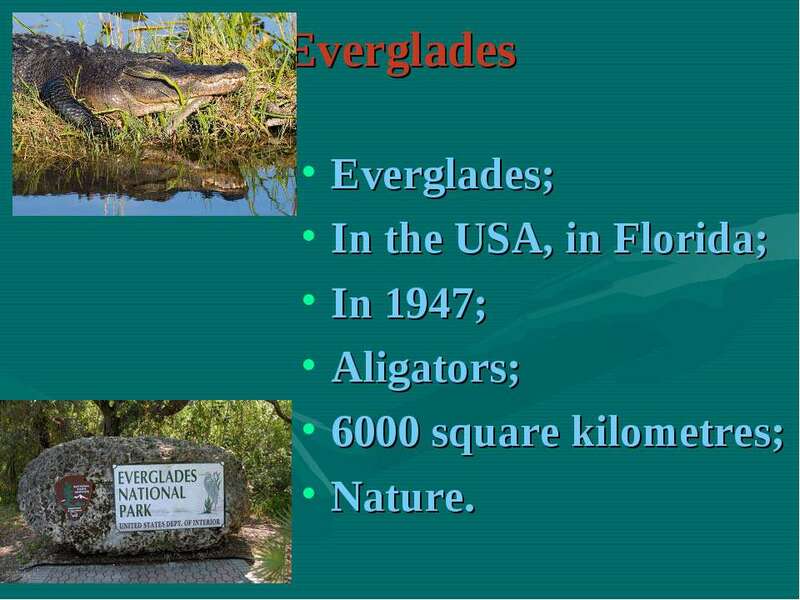 Everglades Everglades; In the USA, in Florida; In 1947; Aligators; 6000 square kilometres; Nature. 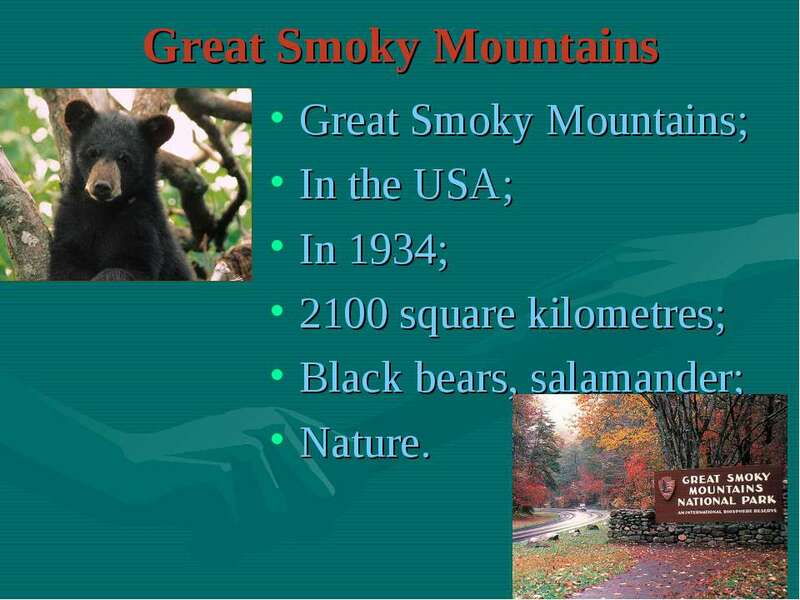 Great Smoky Mountains Great Smoky Mountains; In the USA; In 1934; 2100 square kilometres; Black bears, salamander; Nature. WHAT ARE THE RESULTS OF OUR INFLUENCE ON THE ENVIRONMENT? 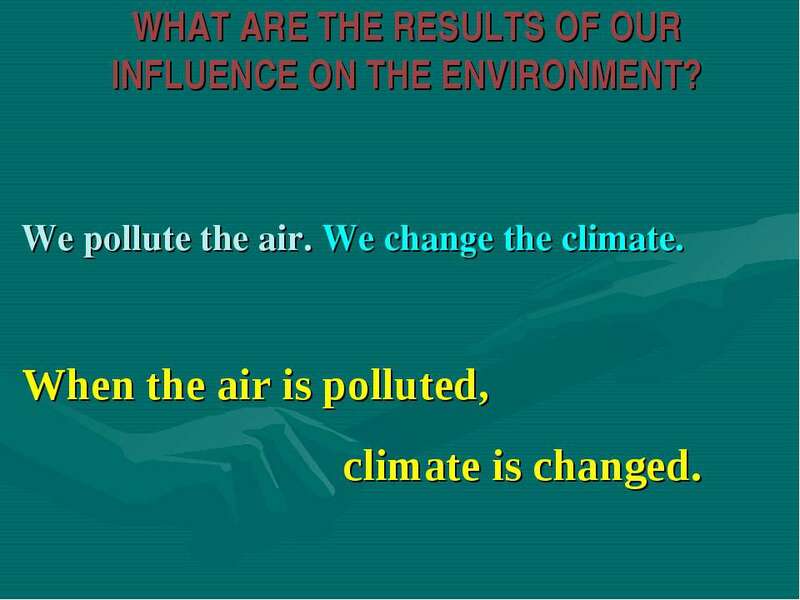 We pollute the air. 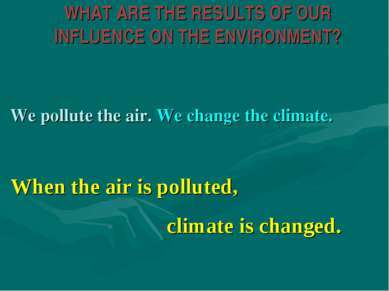 We change the climate. When the air is polluted, climate is changed. WHAT ARE THE RESULTS OF OUR INFLUENCE ON THE ENVIRONMENT? 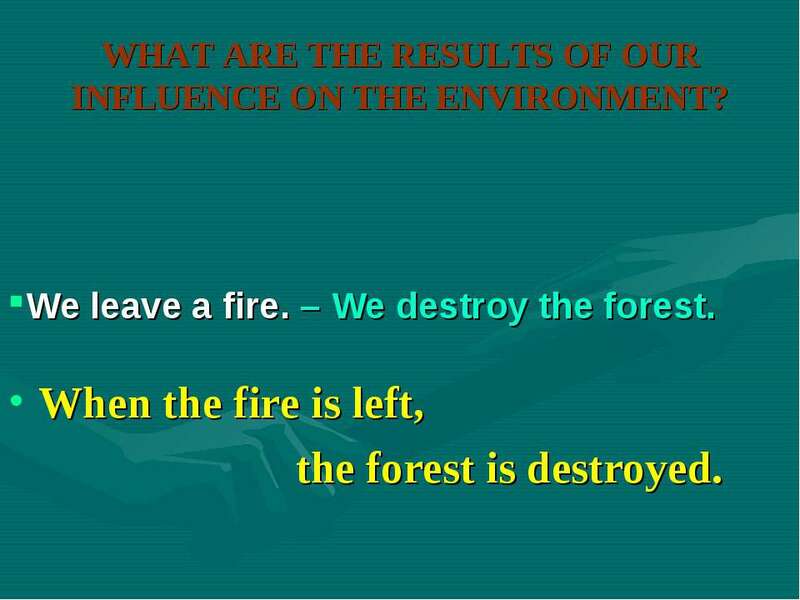 When the fire is left, the forest is destroyed. We leave a fire. 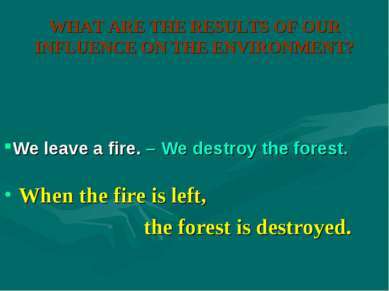 – We destroy the forest. WHAT ARE THE RESULTS OF OUR INFLUENCE ON THE ENVIRONMENT? 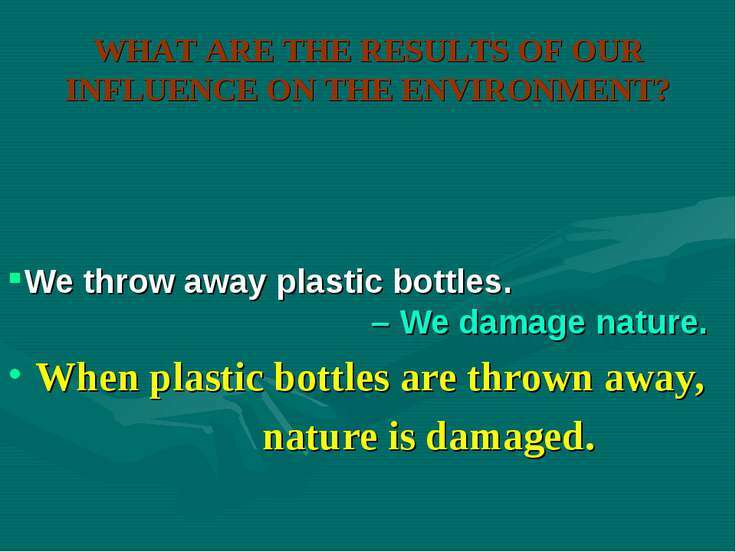 When plastic bottles are thrown away, nature is damaged. 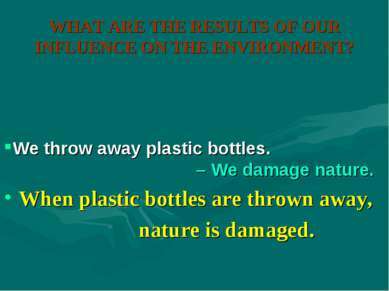 We throw away plastic bottles. 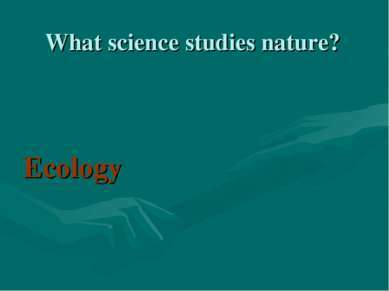 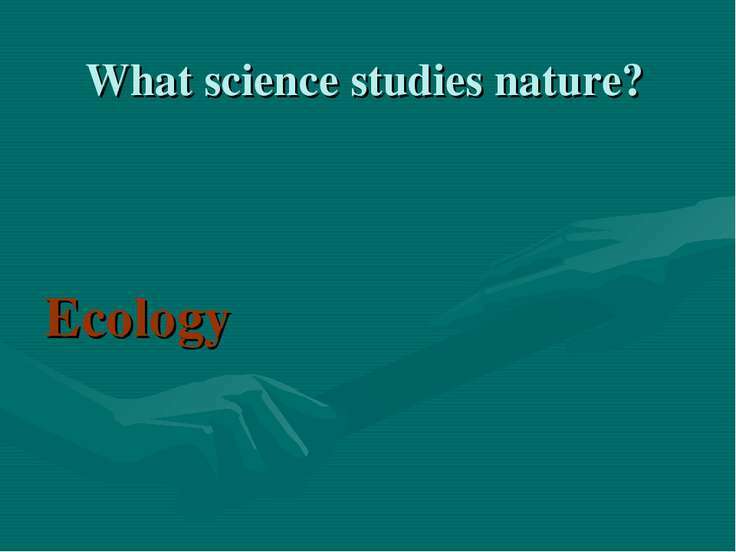 – We damage nature. 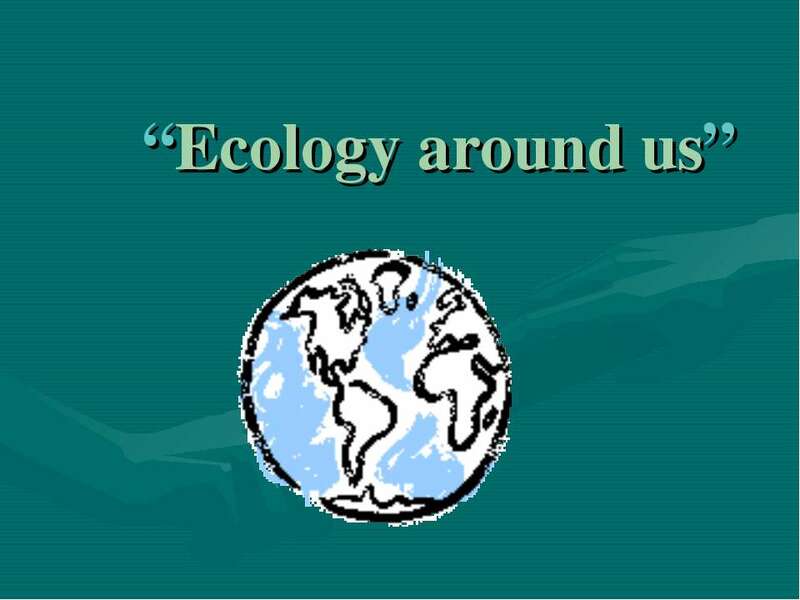 WHAT ARE THE RESULTS OF OUR INFLUENCE ON THE ENVIRONMENT? 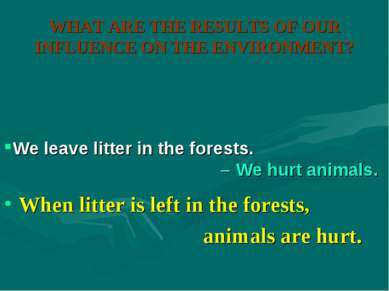 When litter is left in the forests, animals are hurt. 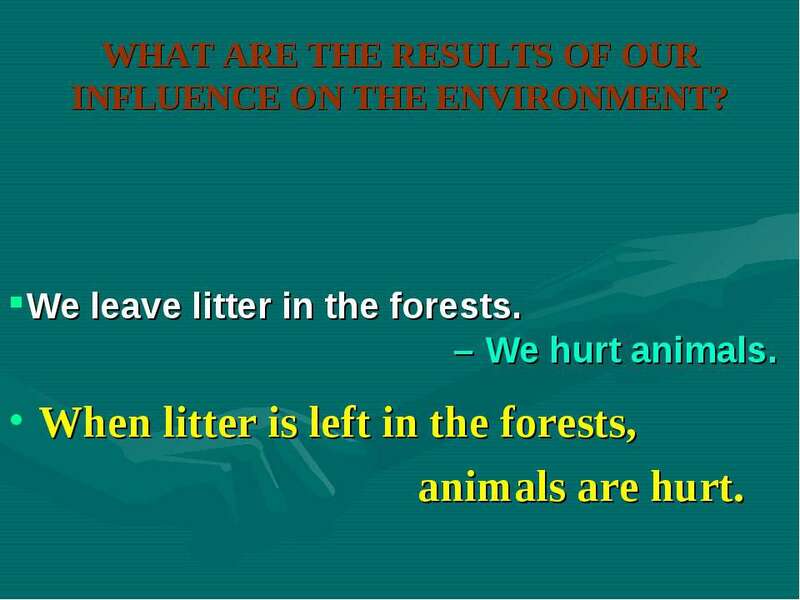 We leave litter in the forests. 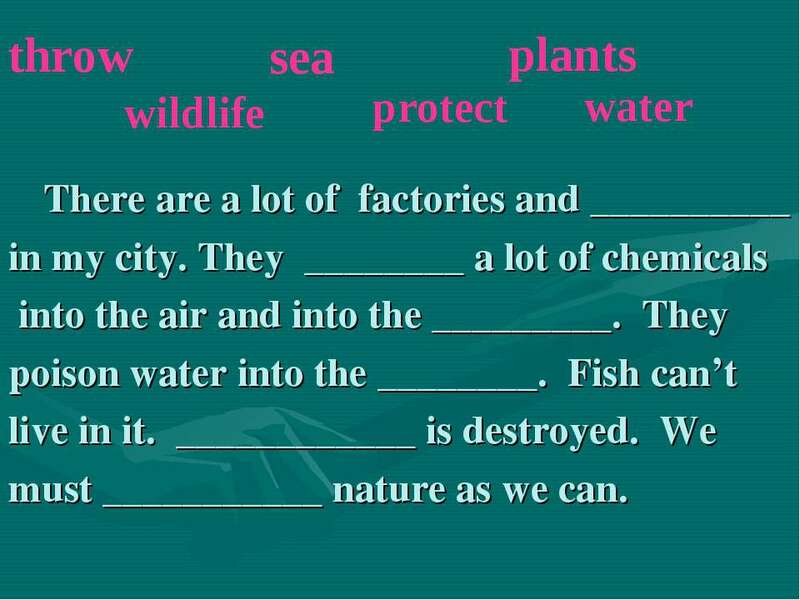 – We hurt animals. WHAT ARE THE RESULTS OF OUR INFLUENCE ON THE ENVIRONMENT? 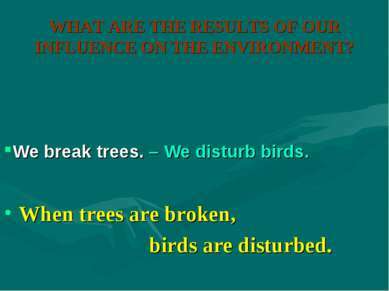 When trees are broken, birds are disturbed. 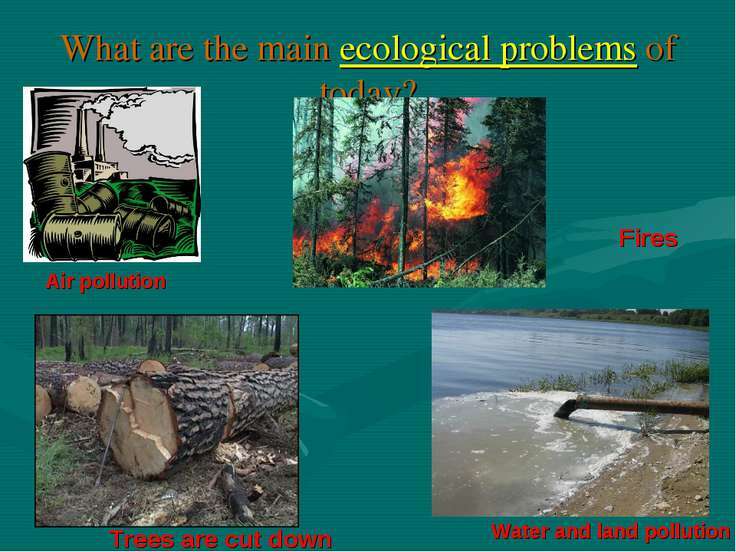 We break trees. 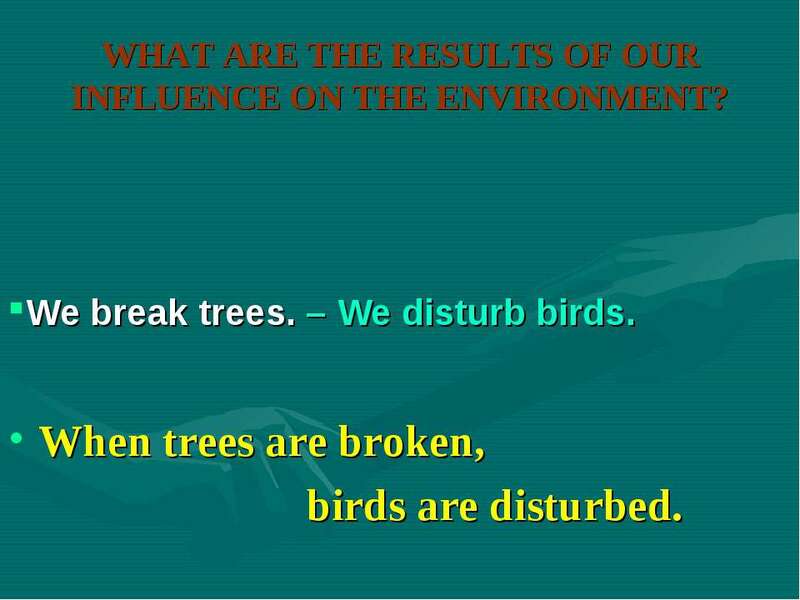 – We disturb birds. WHAT ARE THE RESULTS OF OUR INFLUENCE ON THE ENVIRONMENT? 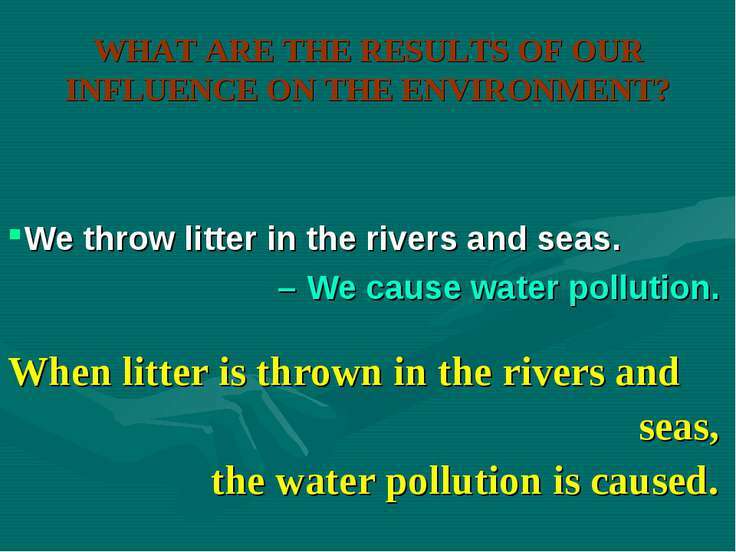 When litter is thrown in the rivers and seas, the water pollution is caused. We throw litter in the rivers and seas. 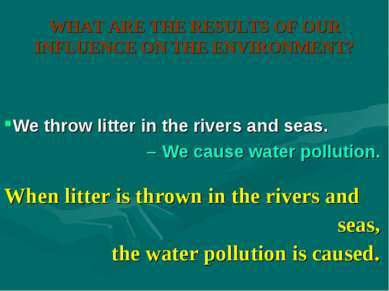 – We cause water pollution. 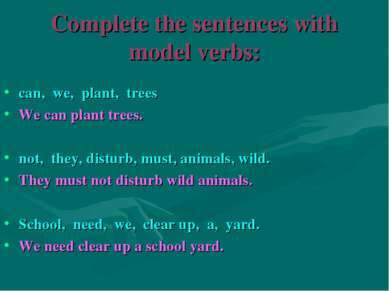 Complete the sentences with model verbs: can, we, plant, trees We can plant trees. 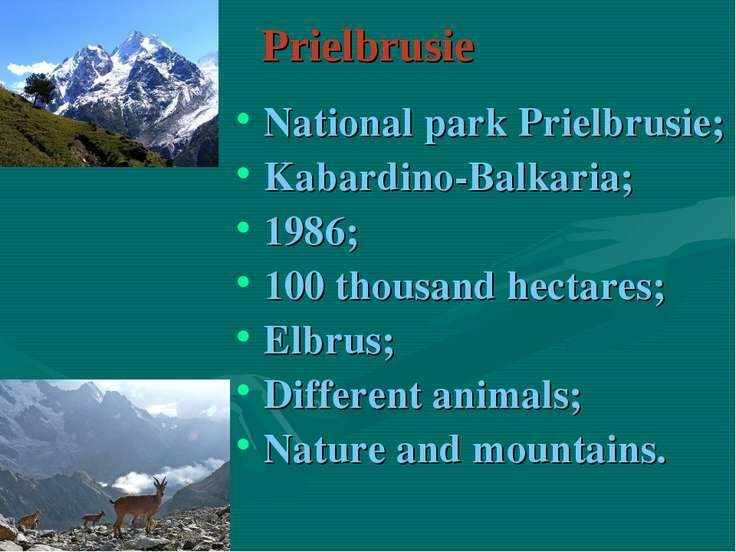 not, they, disturb, must, animals, wild. 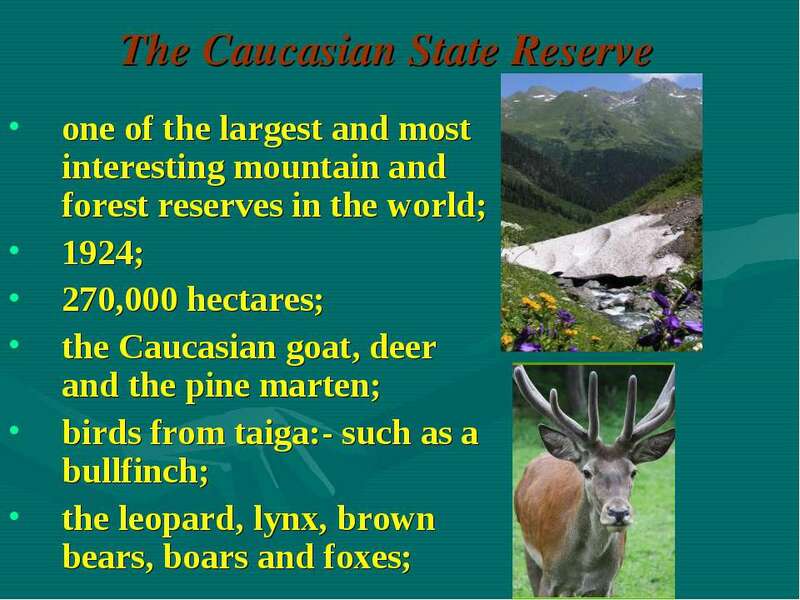 They must not disturb wild animals. 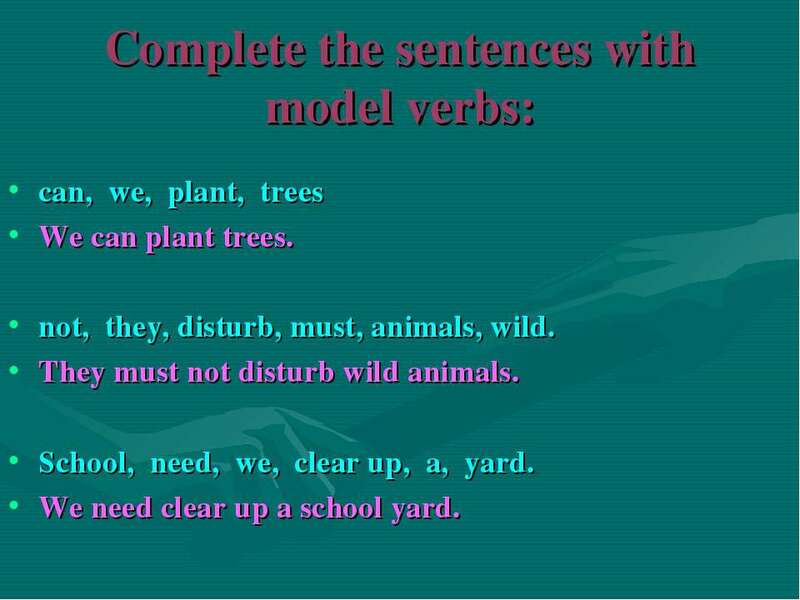 School, need, we, clear up, a, yard. We need clear up a school yard. 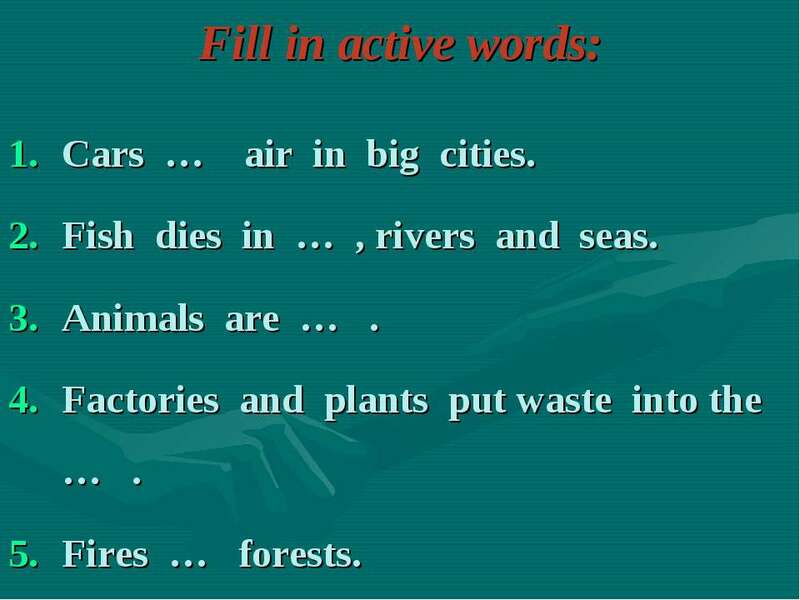 Fill in active words: Cars … air in big cities. Fish dies in … , rivers and seas. 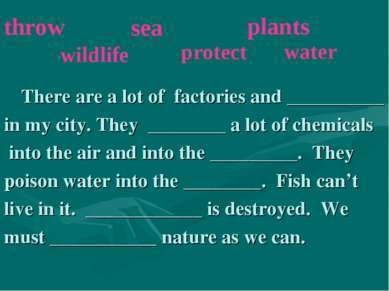 Animals are … . 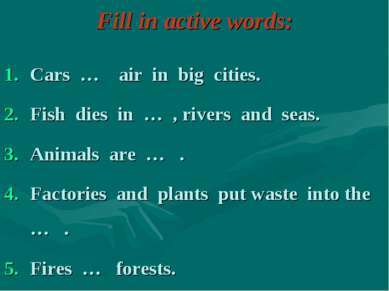 Factories and plants put waste into the … . Fires … forests.